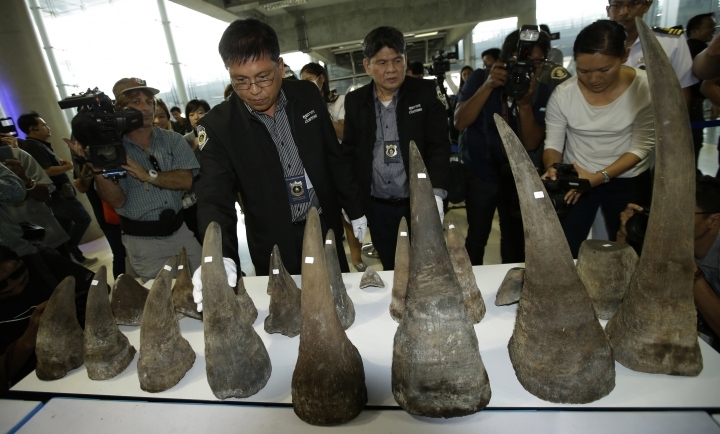 The bags carrying the horns were discovered last Friday in a random customs search at Bangkok's main airport, the Thai Customs Department said in a statement. They discovered the horns, weighing almost 50 kilograms (110 pounds), inside hard-shelled luggage bags originating from Addis Ababa. The bags' owners, two Thai women who had arrived on separate flights but went to claim the luggage, fled as officers searched their bags and have not been apprehended, the statement said. Arrest warrants have been issued for them. 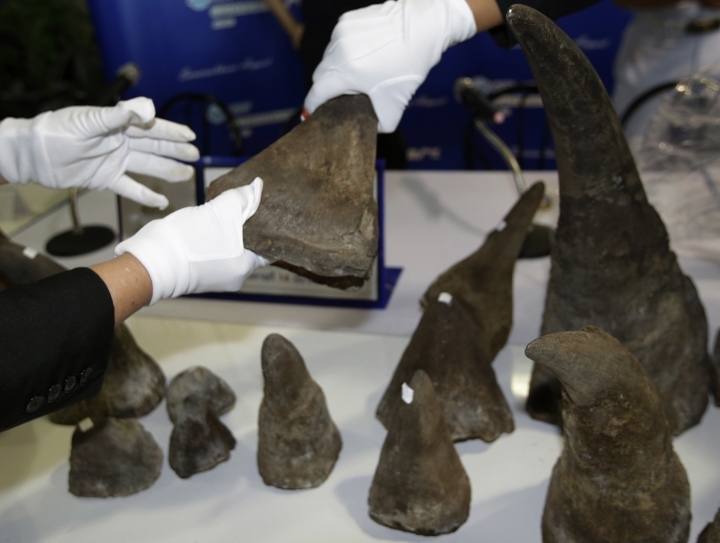 "The rhino horns we confiscated this time are the most beautiful horns we've ever seized from this airport," the statement said. It's the second time in two years that rhino horns have been seized at the airport, with the previous haul being worth around $600,000. 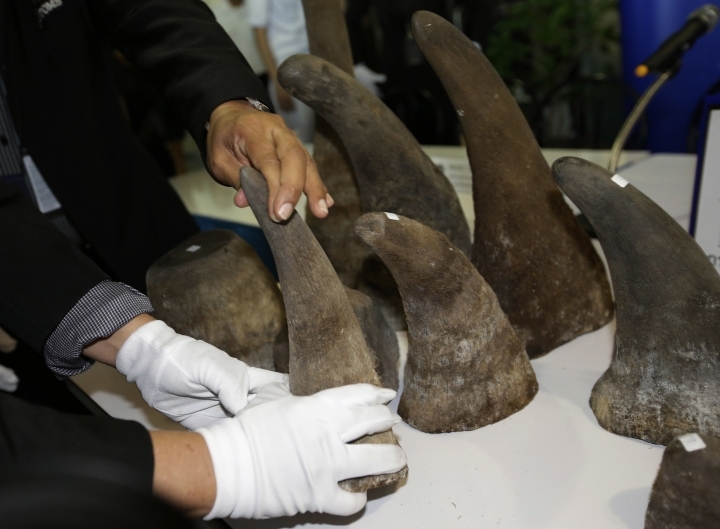 "These horns are huge, which means they came from big rhinos," said Somkiat Soontornpitakkool, director of the division in charge of protecting wildlife at the Ministry of Natural Resources and Environment. The World Wildlife Fund says very few rhinos survive outside national parks and reserves, and some species are endangered. 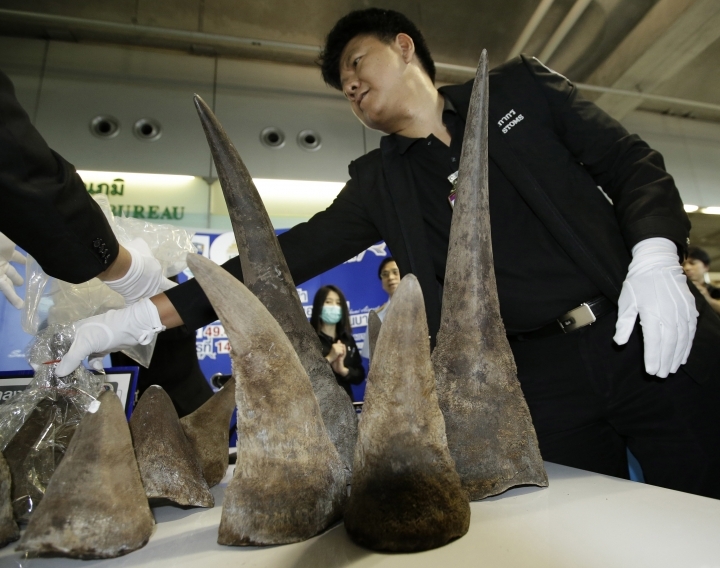 Experts who examined the smuggled horns concluded that the poachers who obtained them must have killed the rhinos. It's possible to cut off a rhinoceros' horn without killing it, but the dehorning process poses risks to their health.